tlk.io is on it's way to get fully sponsored by the community. By reaching our monthly goals we can provide you with an ad-free service. Your support means a lot to us, be the first one to join our awesome sponsors! Create new chat rooms in seconds. No invite or signup necessary. — Simple! You can use a nickname without login. Or use Twitter to get your name and avatar. — Simple! Share the URL anywhere you like. No need in forcing people to install the right app for just a quick chat. — Simple! Chat in a browser tab at your desk or take it with you on your tablet or phone. You can even embed a chat on your own site. — Simple! Note: The above example is just a demo and not a real chat. Here's a live example: tlk.io/hey. Add a tlk.io chat to your own site! 1. Customize the chat window..
* Optional: You can customize how the chat looks by adding your own CSS file. It will override the default. 2. Copy the code below onto your site. That's it. Done! You should see your chat like the demo below. Terms: By adding tlk.io to your site you agree to the following terms: This chat service is provided under an "as is" condition. It might change or will be discontinued without prior notice. The creators of this service can't be held liable in any way. There is an unofficial tlk.io WP plugin that you can install. Currently we don't serve any ads on tlk.io and we like to keep it that way. But in order to improve the service we could use your help. Become a Patron. You'll pledge a monthly amount and directly influence tlk.io's future development. If you type @ + username, like @matt, it will highlight the message to that user. Click the circle avatar to quickly add it to the input. If you use a hash tag (#), it automatically turns them into channel links, like #hey. If you paste a link to an image, it will show the image inline. Also, pasted URLs will turn into links. If you're using tlk.io as a Fluid desktop app, to login with twitter you need to "whitelist" it first. 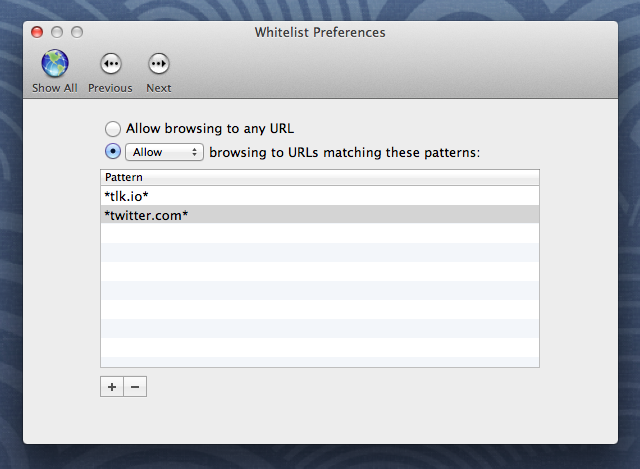 Go to Preferences > Whitelist and add *twitter.com*, see screenshot. We would like to thank node.js, Faye, Ruby on Rails, Redis, jQuery, Fontelico (smiley) and everyone else that made this chat possible. Got a question about tlk.io? A good place to find answers are the FAQ posts. If your question isn't covered there, feel free to send us an email to [email protected] or tweet to @tlkio. For general feedback leave a message on our tlk.io/feedback channel. We also have a public trello board, so you can comment/vote on upcoming stuff. By using tlk.io you agree to the following terms: This chat service is provided under an "as is" condition. It might change or will be discontinued without prior notice. The creators of this service can't be held liable in any way.